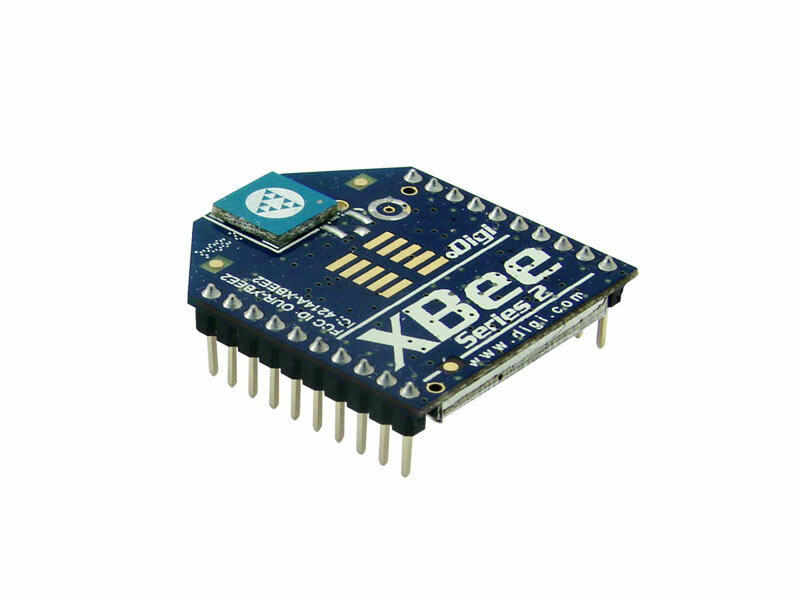 Digi International's XBee modules are low-cost popular modules for wireless networking, and are offered in various configurations. This module operates in the unlicensed 2.4GHz band, and is pre-configured with ZigBee firmware. It can be configured as either a Coordinator or a Router/End Node by using the free X-CTU utility from Digi International (click on Resources tab, above, for a link). Note: this product operates at 3V. If you plan to use it in a 5V system, you will need to provide voltage-level translation for safe operation.